There is concern that in-fighting among Maine's GOP could result in the state losing its delegate seats to the Republican National Convention later this month. WASHINGTON — Supporters of presidential candidate Ron Paul have rejected a compromise from the Maine Republican Party chairman, raising the stakes in a political showdown that could see the state lose its coveted delegate seats during the upcoming Republican National Convention. Later this week, Republican leaders from around the country will meet in Washington, D.C., to consider what role, if any, Maine’s 24-member delegation will play at the GOP convention, which starts Aug. 27 in Tampa. 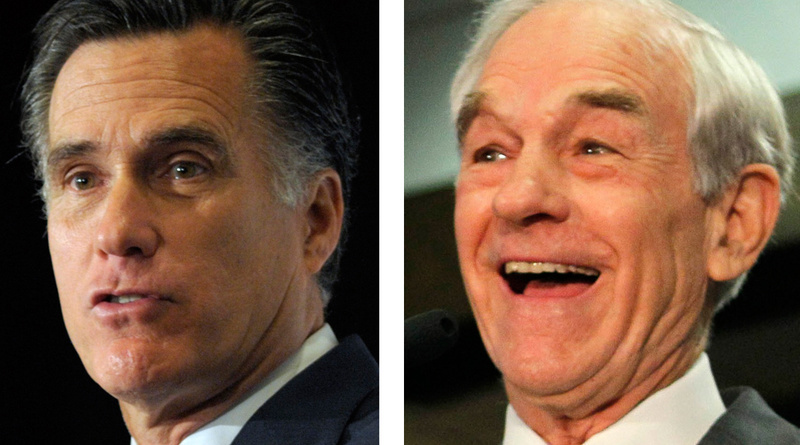 Two supporters of presumptive nominee Mitt Romney have challenged the legality of 20 pro-Ron Paul delegates from Maine, arguing they were improperly elected at the state GOP convention in May. 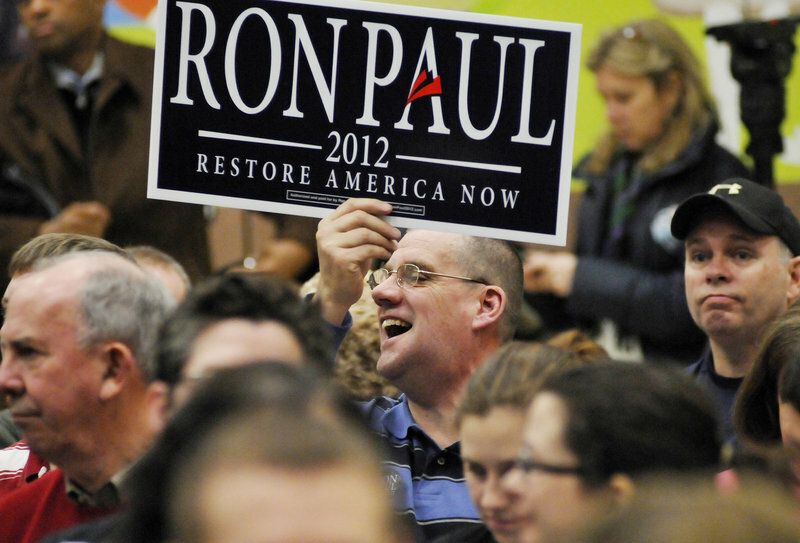 Supporters of Paul – a Texas congressman known for libertarian views – essentially took over the convention and out-voted Romney’s camp. Maine Republican Party Chairman Charlie Webster said Tuesday that he offered the compromise in hope of resolving the issue before it reaches the Republican National Committee. But Paul delegates and alternates unanimously rejected it. The proposal doesn’t appear to have eased tensions among Maine’s GOP. The Maine dispute is also part of a larger national fight by Paul and his loyalists leading up to the convention. Paul has a fraction of the delegates Romney has but only needs to carry five states to get a prime-time speaking slot at the convention. While the Paul campaign claims to have done that with Maine’s help, Romney’s campaign disagrees. Paul has yet to be offered a speaking spot. Tweed and other pro-Paul delegates say Webster’s compromise would strip them of their voices as elected delegates by requiring them to sign a “binding pledge” to support Romney if Paul is not listed as an official candidate at the convention. Unlike those in some states, Maine’s convention delegates are not required to support any particular candidate. The compromise would also have handed over the right to formally announce Maine’s votes at the convention to Gov. Paul LePage or Webster rather than Tweed. Delegates would have been prohibited from criticizing Romney – or speaking positively of President Obama – in public. Webster said he spent hours on the phone with RNC officials and others trying to negotiate a compromise. He insisted he never ran the proposal by the Romney campaign as some Paul delegates have suggested. “I don’t see anything more at this point that I can do,” he said. Maine is one of several states where Paul supporters are either fighting to keep their delegates or trying to nullify Romney delegates. Paul delegates from Massachusetts, Louisiana and Oregon may also be challenged. The Maine dispute dates to the non-binding state caucuses, when Paul backers say party officials declared Romney the winner before all votes were counted. Well-organized Paul supporters at the GOP convention in Augusta, in a chaotic scene, elected Tweed as convention chairman over a pro-Romney chairman. Paul’s camp then filled the 20 at-large delegate seats – and 20 alternates – with Paul supporters. The other four unassigned delegates are Gov. Paul LePage and state party leaders. But Janet Staples, Maine GOP committeewoman, and Peter Cianchette, Romney’s campaign chairman in Maine, filed a challenge with the RNC last month disputing the validity of the Paul delegates. They claim numerous rules and procedures were broken during delegate selection, including lax credentialing and security that allowed unauthorized persons to vote, lack of a quorum and procedural violations. Staples reiterated Tuesday that her challenge has nothing to do with her support for Romney, but stems from her obligation to the RNC as Maine’s representative on the Rules Committee.”So I can’t look the other way and say to the RNC that we conducted the elections in a proper way, because we didn’t,” she said. The RNC’s Committee on Contests will meet this week in Washington to begin reviewing the challenges from Maine and other states. Kirsten Kukowski, RNC spokeswoman, said the committee will hold hearings the week before the convention and make a decision. Any appeal would go to the RNC’s Credentials Committee. Eric Brakey, a Paul delegate who directed his Maine campaign, said more than 1,000 people have signed a petition asking Staples and Cianchette to drop their challenge with the RNC.